Noise cancellation technology is most often associated with earphone or headphones. Noise cancellation means that you can enjoy music without being bothered by the noise around you thanks to sound-countering technology. In times when music is our constant companion on mobile devices, headphones with good noise cancellation results are in high demand. Credit where credit is due, BOSE did a very good job with this. In Japan, as is the case so often, technology is applied with a totally different end in mind. It is unknown to most, for example, that Akio Morita, co-founder of SONY, designed the legendary WALKMAN in times of the portable “ghetto blaster”. The aim was so that people could enjoy music outdoors without bothering other people (instead of BEING bothered by other people or noises). Ironically, the WALKMAN became a sales hit around the world because they were able to disconnect from the outside world on the go. Morita’s original purpose never really surfaced. 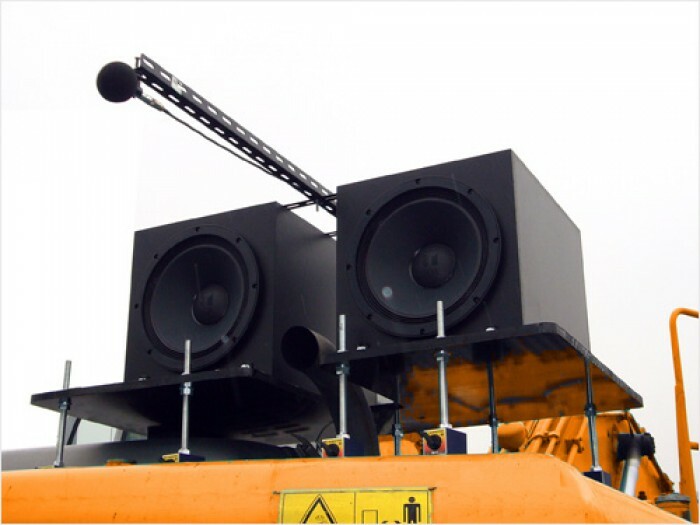 Years later, Japanese construction and engineering company TODA developed an outward noise control system called TANC. TANC looks like a huge microphone and speakers that is attached to the nozzle of heavy construction vehicles such as excavators. The goal is to cancel the sound waves from the vehicles as much as possible by sending countering waves. Morinosuke Kawaguchi stresses this difference in mentality that is able to come up with new solutions in applying technology. As Japanese electronics companies are starting to lose their competitive edge and innovative power, SONY might be well advised to return to the roots of its success and remember where innovation really came from during its peak time. Japanese can and should not try and copy the American approach to innovation (or the approach of any other culture, for that matter) as it will never really manage to create unique products that way.